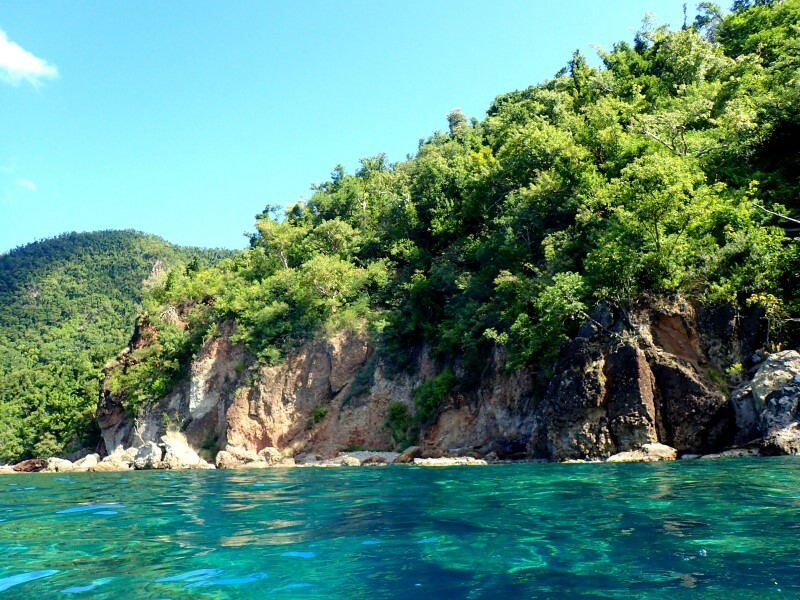 Dominica is not the typical Caribbean island. 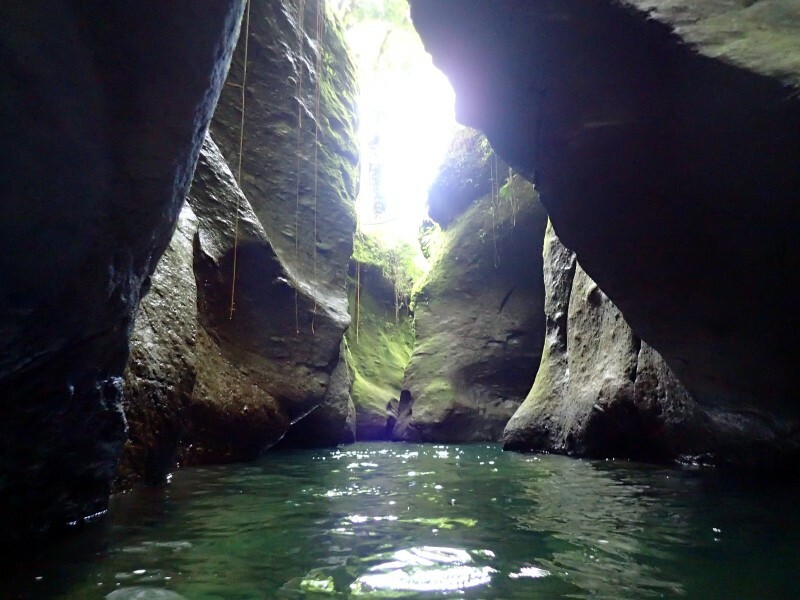 A holiday in Dominica means a full immersion in the nature. The wild beauty of the interior compensates for the lack of white sandy beaches (and, in any case, the coastline is also splendid). 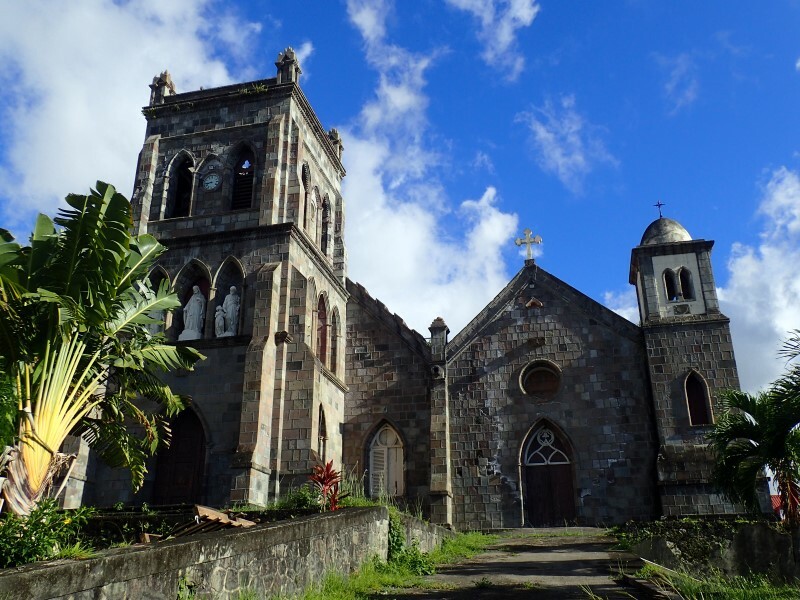 For an independent travel itinerary to Dominica, it is important to rent a car, unless you want to use public transportation and then do a lot of trekking. 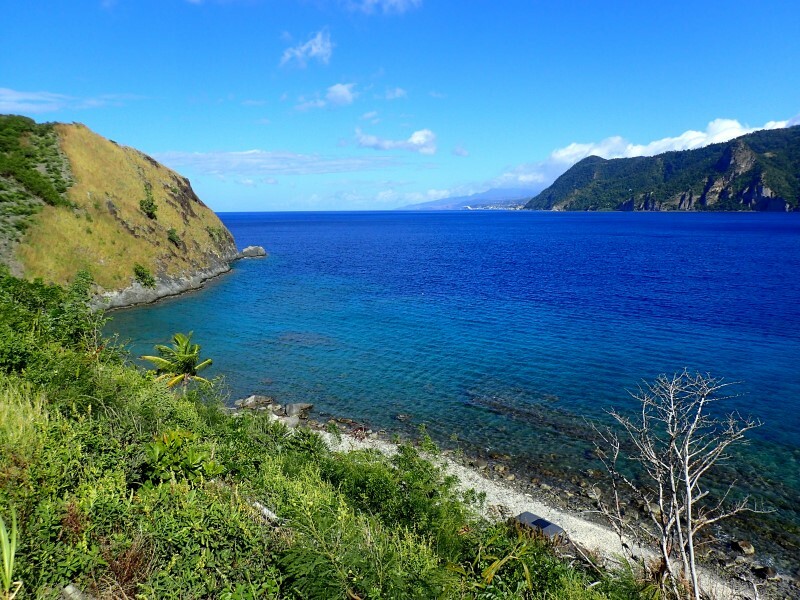 In fact, the Waitukubuli Trail path of about 200kms that runs through the island from north to south is a dream destination for hiking lovers. You will sweat and get wet (the interior is quite rainy also in the dry season, which runs from December to May), but you will be rewarded by unique landscapes. 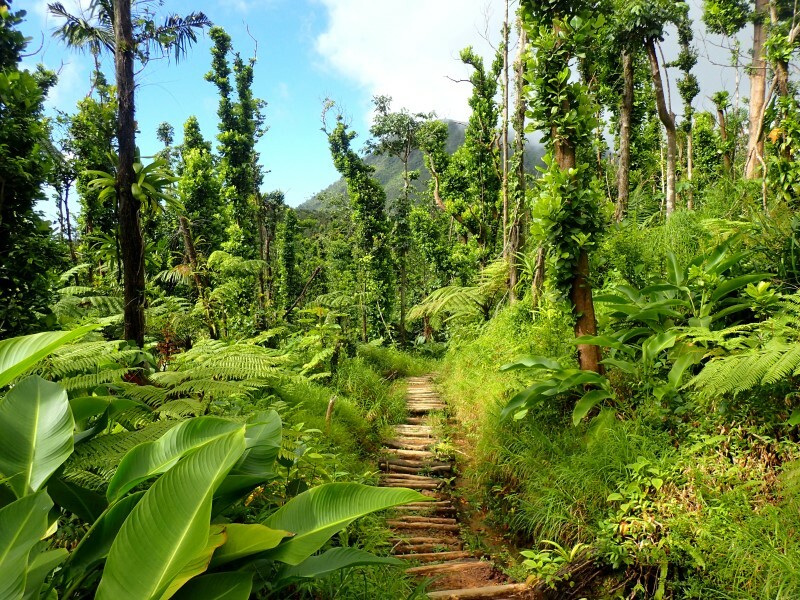 Another Dominica feature to keep in mind for a holiday on this tropical island is the kindness of its (few) inhabitants. 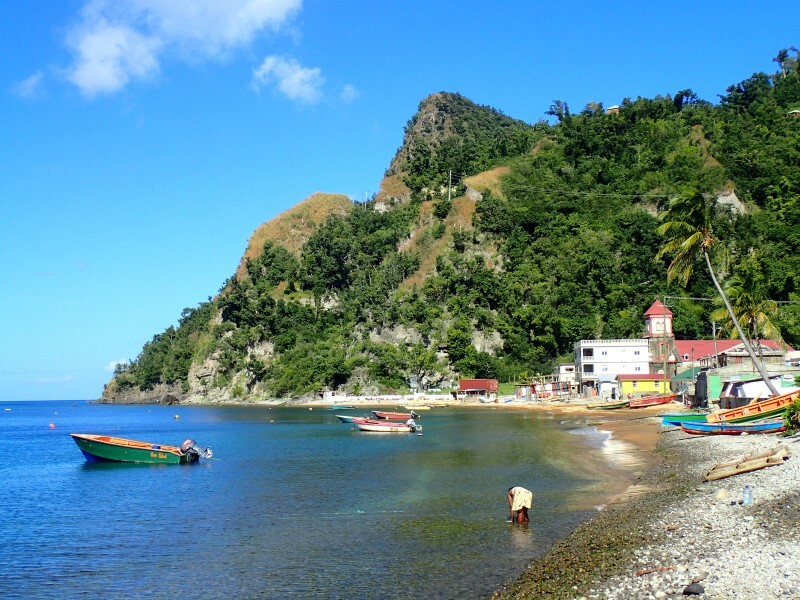 Seventy thousand people live in Dominica, the villages are traditional, good, and people will smile and give you directions if you need them (the spoken language is English, even if with creole intonation). Do not expect western-level services: here it's all very rustic. 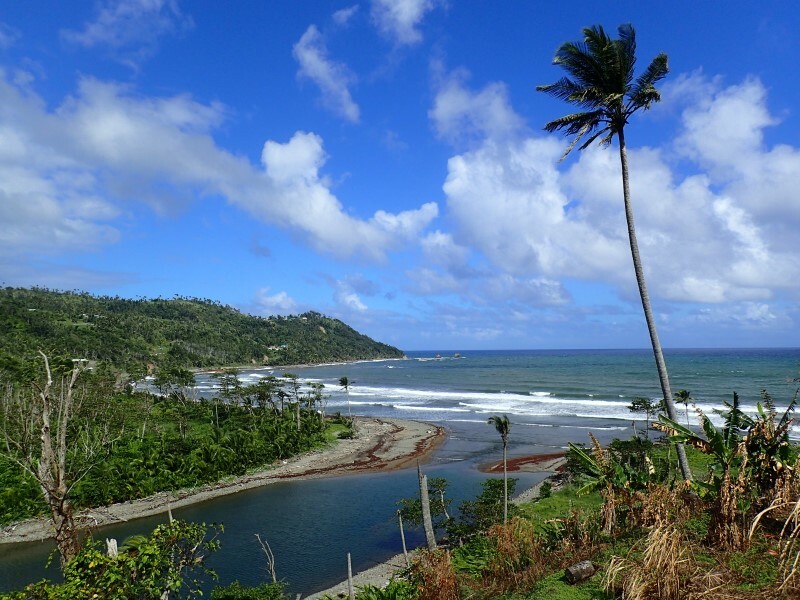 The beaches of Dominica lack white sand, but they must not to be overlooked. The east coast, exposed to the Atlantic waves, is wild, full of sargasses (floating algae) and unsuitable for swimming, but it is also gorgeous. To swim, snorkel and sunbathe, it is best to take advantage of the calm of the west coast, where the water is often very clear. 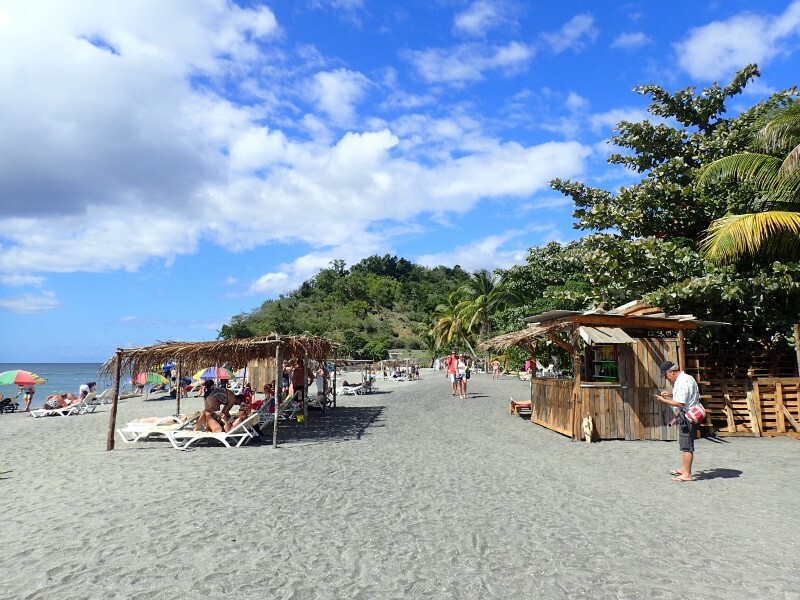 One of the most touristic beaches is Meru Beach, very characteristic apart in the days when cruise ships arrive at Roseau and carry here tourists. 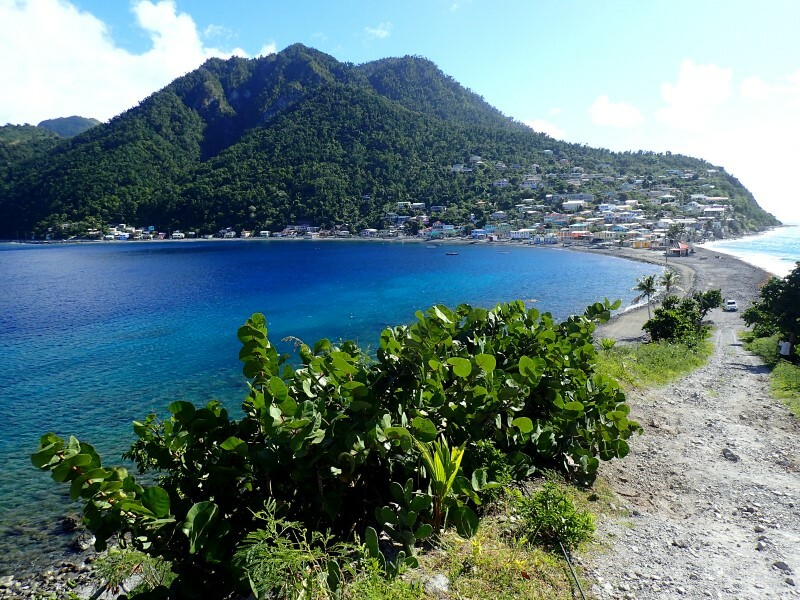 To snorkel, the best places are in the southwestern part of Dominica, which also presents the most beautiful sea landscapes you will encounter during your holiday on the island. 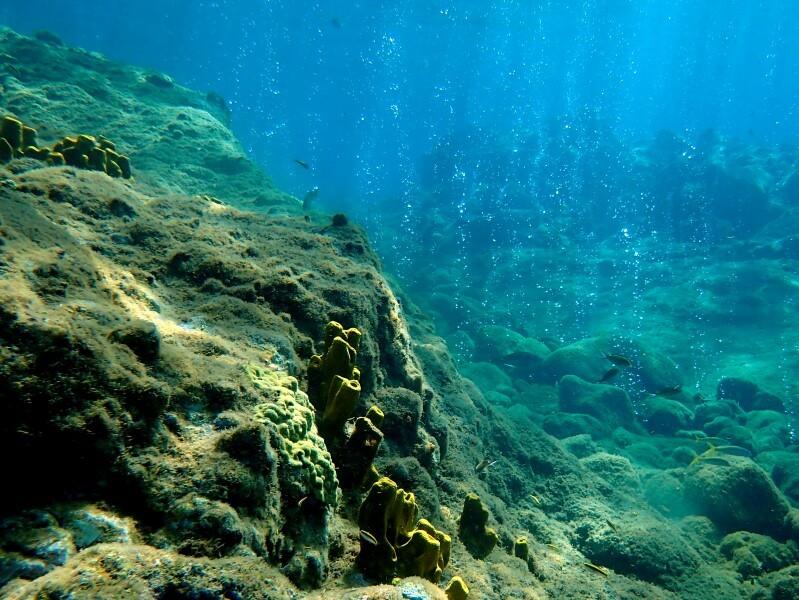 The sea of Champagne beach has beautiful corals, lots of fish and, most notably, submarine hot springs. From the bottom of the sea you will see bubbles emerge, a unique show to admire with mask and snorkel. 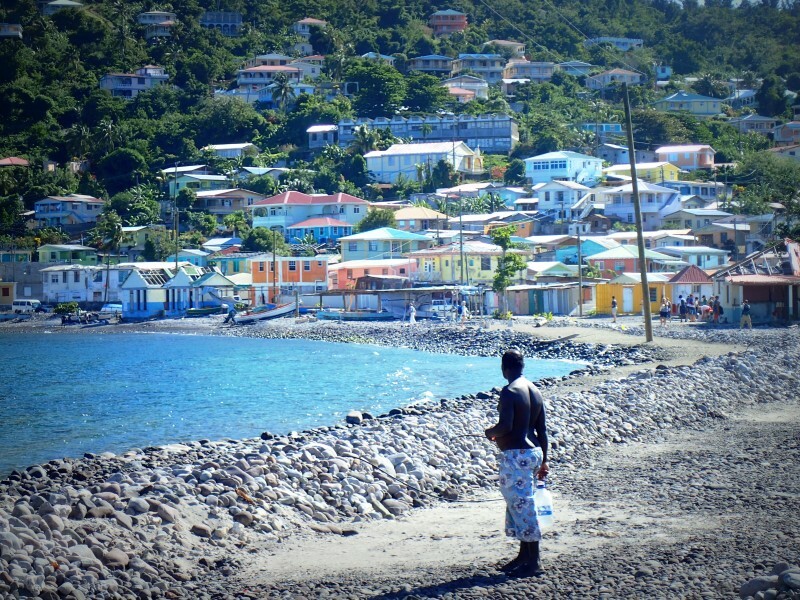 Just south of Champagne beach, there is the picturesque village of Soufrière, from which begins the wide bay closed by Scott's Head. At Scott's Head there is a quaint fishing village, really a paradise not only for snorkelling, but also to take some wonderful photos. 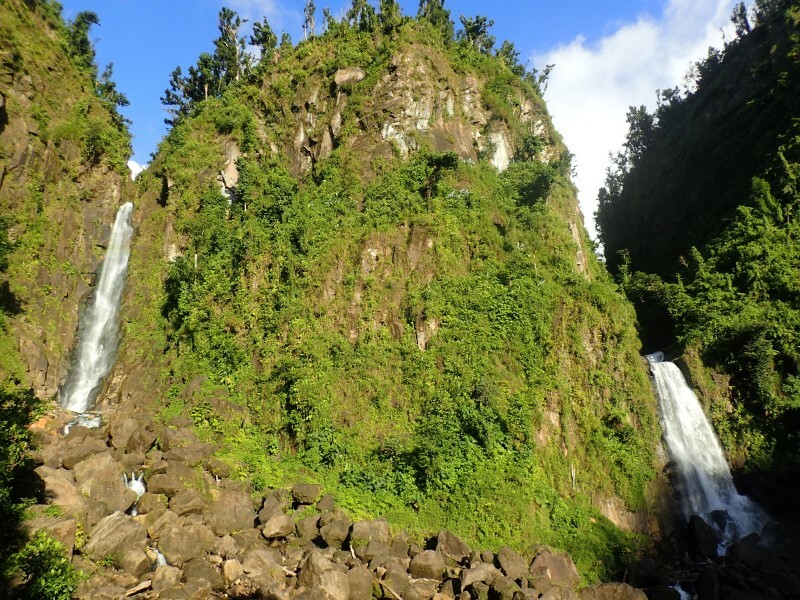 The interior of Dominica is covered by a dense tropical forest, but it is also full of attractions: waterfalls, natural spas, volcanic fumaroles, pools where you can dive. The main destinations are easily reachable from the capital Roseau (the island is so small that everything is within driving distance, despite the winding roads). The Trafalgar Falls are within easy reach (two minutes walk from the parking lot) and truly spectacular. With a twenty-minute drive from the Trafalgar Falls there is the Titou Gorge, a jungle gorge where you can swim up to a small waterfall. Titou Gorge leaves you gaping at the intensity of the green from which you are surrounded (the photo is not good enough). (Ah, you can find all photos of the holiday here). From the Titou Gorge starts the famous path to the Boiling Lake, which I accuretely described here. This trekking itinerary is often the first destination for travelers who are keen on hiking thanks to the green landscapes, but also to the particular colors of the Desolation Valley and its fumaroles. It is not an easy path to follow and many advise to use a guide (I did it alone and survived without any particular problems, but caution is a must). 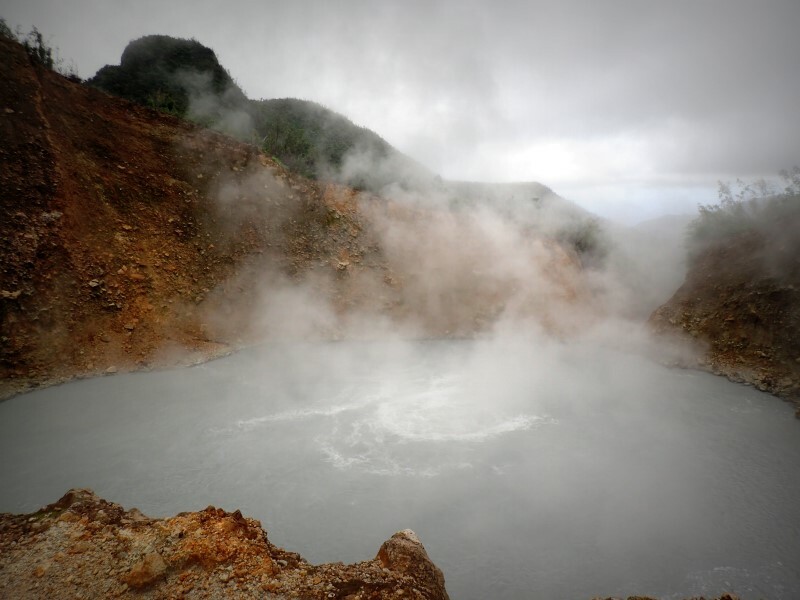 Surely the Boiling Lake trail is a challenging trail: 6 hours round trip, with steep climbs and muddy descents. The arrival at Boiling Lake, the second largest lake of boiling water in the world, is extremely satisfying. 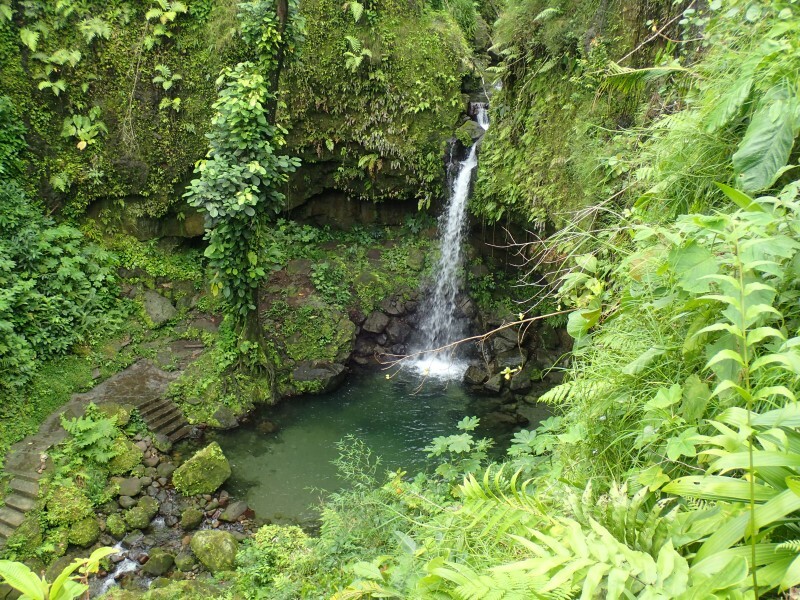 Another attraction of the interior of Dominica are the pools of water in the forest. The Emerald Pool is perhaps a little overrated, but it deserves a short visit and, why not, even a dip. 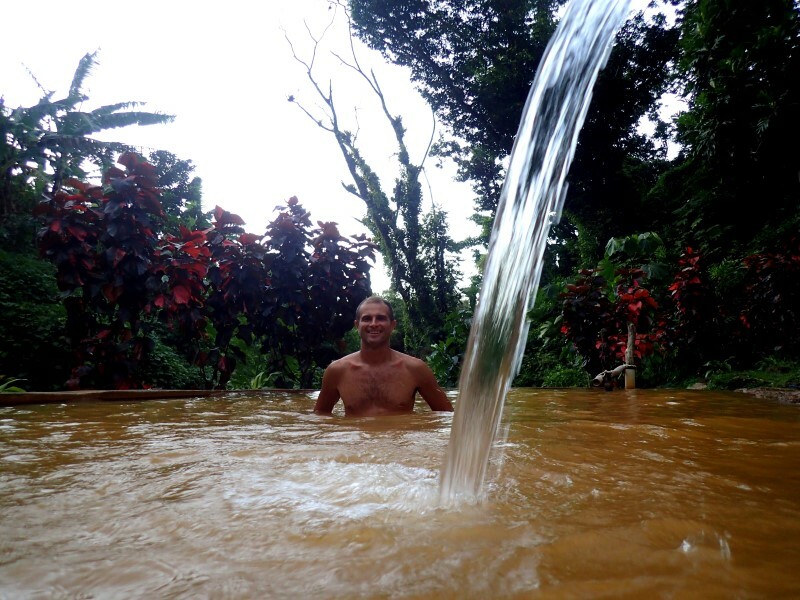 Even more enjoyable are the natural baths of Wotten Waven, with water reaching temperatures up to 40 degrees, where relax maybe after a nice walk. 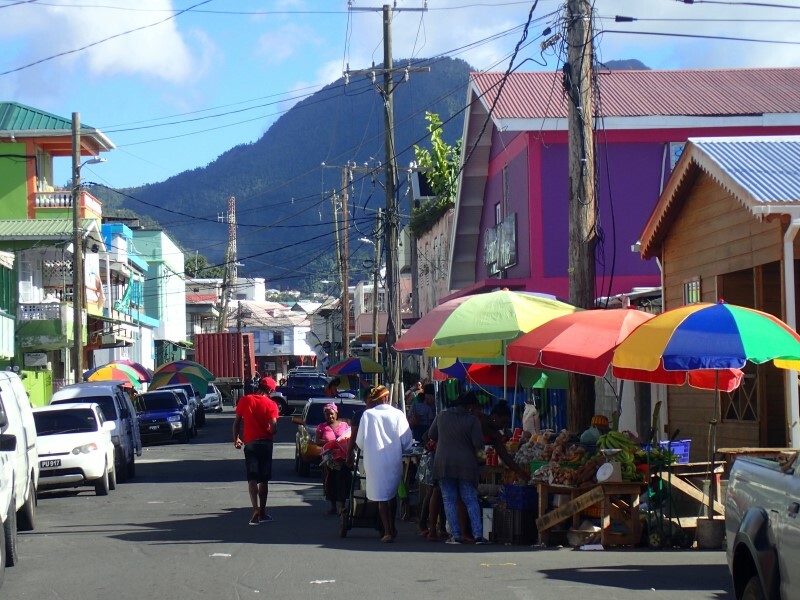 The capital of Dominica is Roseau, which has about 15000 inhabitants and is truly one of the lowest-profile capitals that I know of. Still, it's really picturesque, friendly, nice. The market is very characteristic, and even if it on Sunday evening there are no more than three restaurants open in the whole town, you will always find some villagers willing to have a chat. Roseau's houses are mostly made of wood, with bright colors, but there are also old stone buildings, such as the church. Very characteristic, with the colored wooden buildings, are all the villages of Dominica. 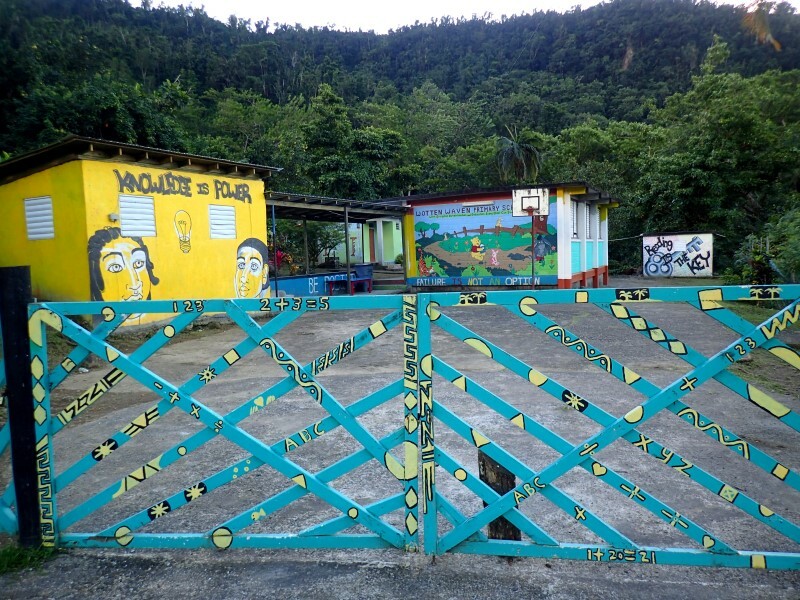 For example, I adored this school in Wotten Waven. To the north, Portsmouth Bay is renowned as a mooring for sailors. The ton is quite craggy, but in the surroundings there are some magnificent natural parks. 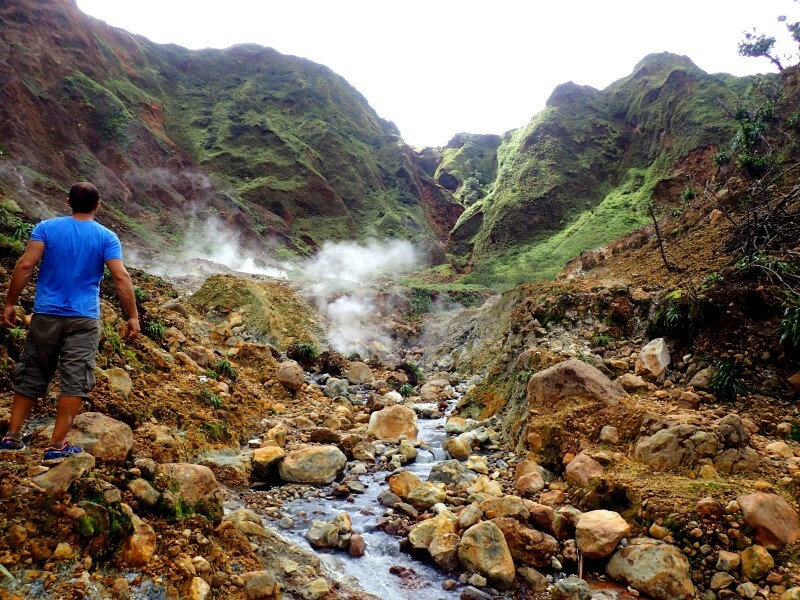 The beauty of Dominica, however, is traveling freely, on foot and by rental car, looking for the wonders of its nature. 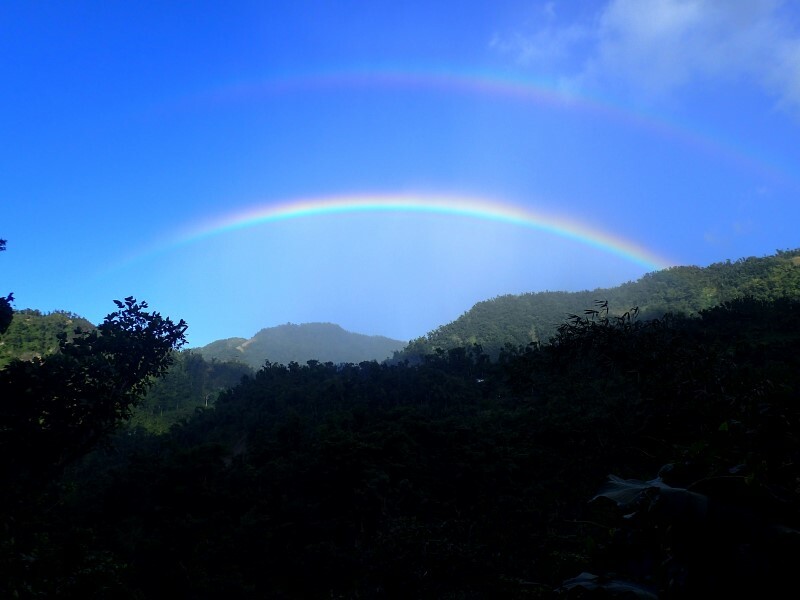 For example, a double rainbow in the jungle.